The detail is amazing and the cloud formations seem like a mix of Van Gogh or Dali painting, but what do you see? Amazing in that is Gas! NASA makes the RAW images available so visual artists with a special interest in science & astronomy like Seán Doran can beautify them. I see a dolphin swimming among the clouds! 👆 It's hard to see unless you play it full screen. 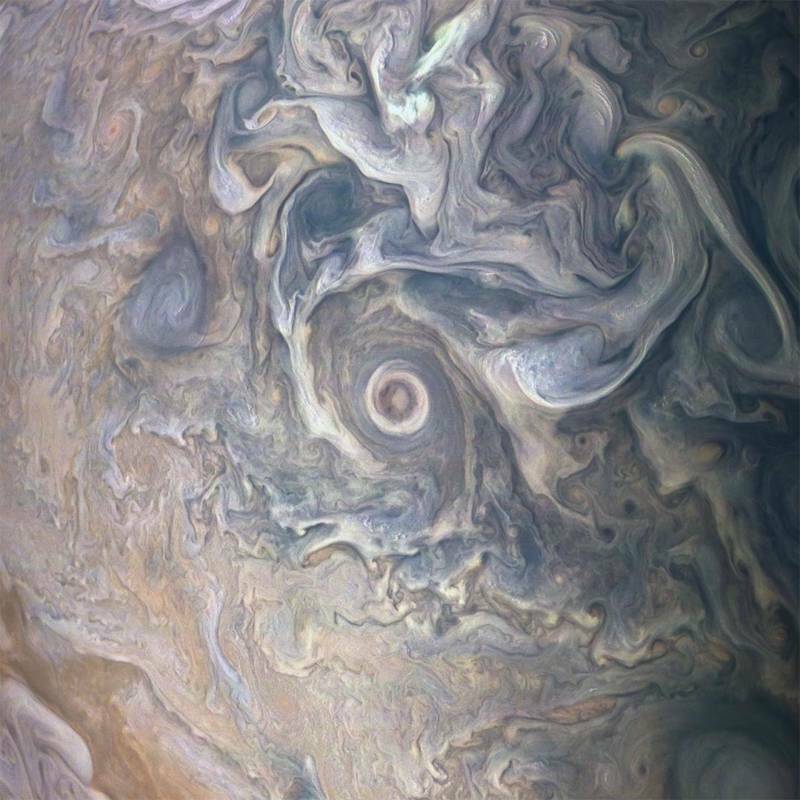 He did a timelapse of Jupiter which is MIND BLOWING!! Pictures such as this are often colour enhanced. Are there any pictures that are in their nature colours? On Monday morning California time, I'll interview him on Cake in a conversation open to all, so prep your questions. He will be getting ready to watch the Mars Insight landing later that day. The camera system, as the craft went away from earth a long time ago, what are they using, and what kind of mega pixel range are they getting, I assume they had the best of the best before it became available to Joe Public? Is there a way they can upgrade their system remotely as they head deeper into space? How long does it take to retrieve an image? It's actually an extremely complicated setup and it's amazing it works. It's a Kodak sensor, 1600 pixels wide, and it has 4 filter strips fused to it — one for each color plus UV — 155 pixels wide each. 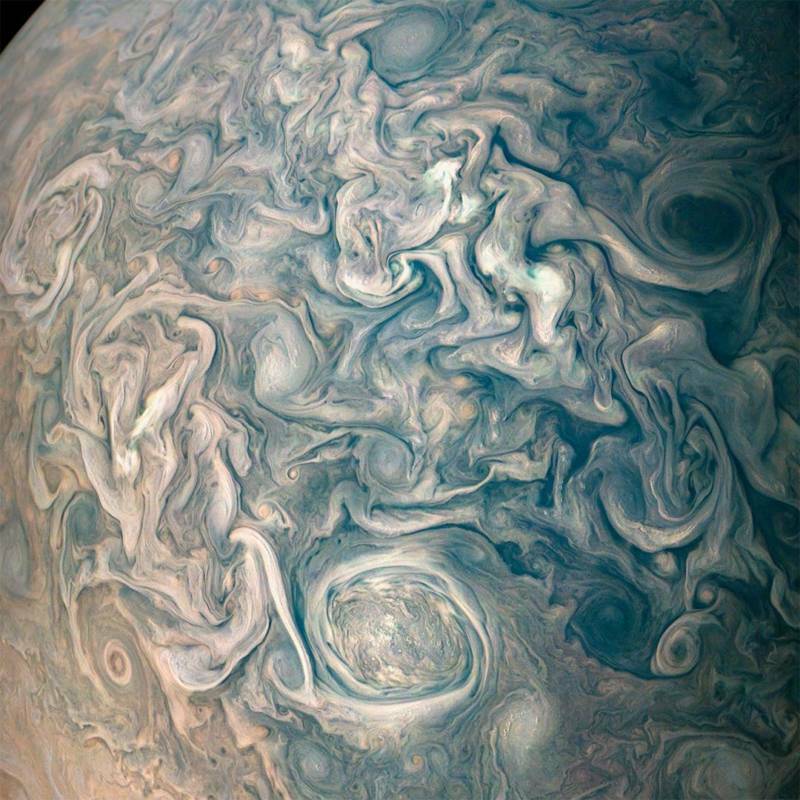 The spacecraft rotates at 2 rpm and it's rushing by Jupiter at 122,000 miles per hour, only taking 2 hours to go from one pole to the other. So in fairly low light it has to take multiple quick exposures and stitch them together. 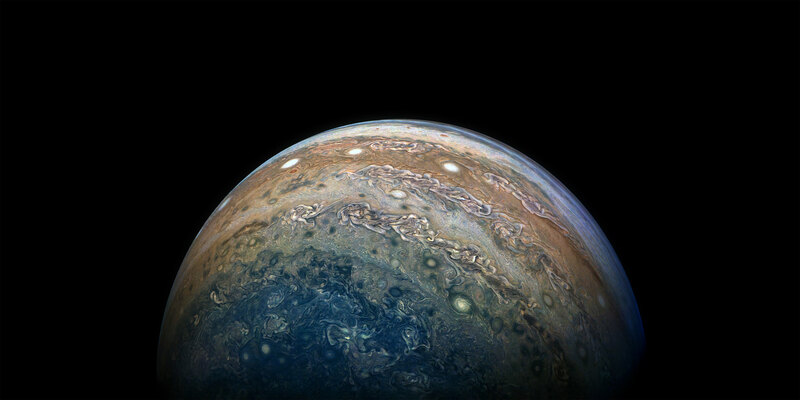 Junocam pixels are 12 bits deep from the camera but are converted to 8 bits inside the instrument using a lossless "companding" table, a process similar to gamma correction, to reduce their size. 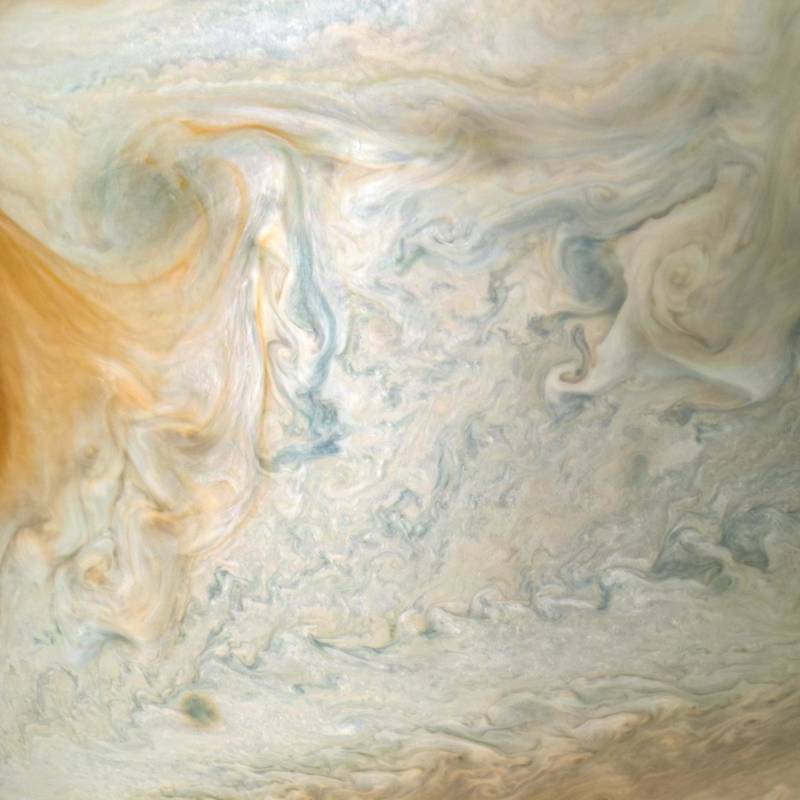 All Junocam products on the missionjuno website are in this 8-bit form as received on Earth.